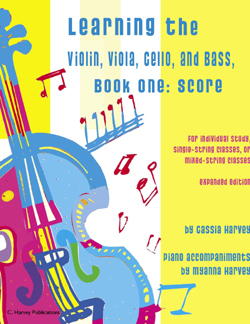 This is the score and piano accompaniment to Learning the Violin, Book One, Learning the Viola, Book One, Learning the Cello, Book One, and Learning the Bass, Book One. 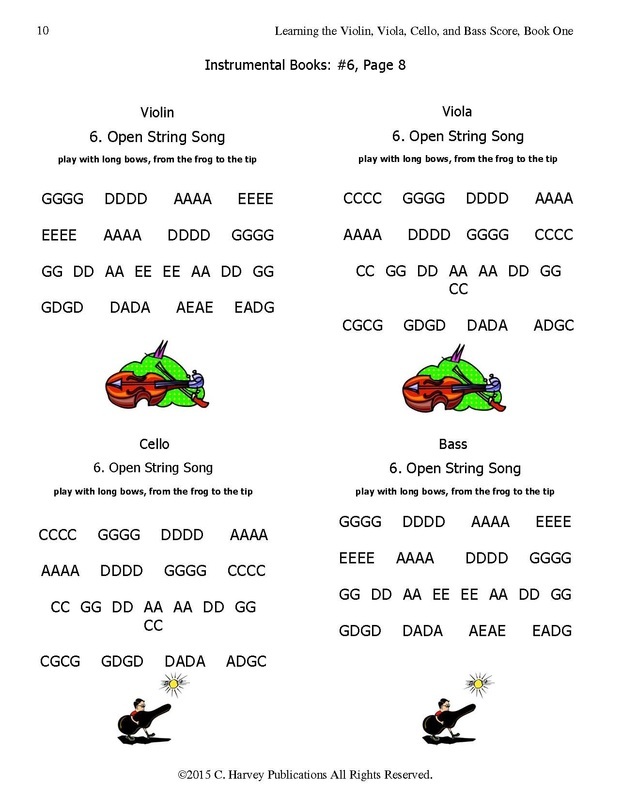 Starting with open string letters and songs with simple finger numbers, these string class methods progress to short exercises and familiar songs with large, easy-to-read notes to get the students to play as much as possible. 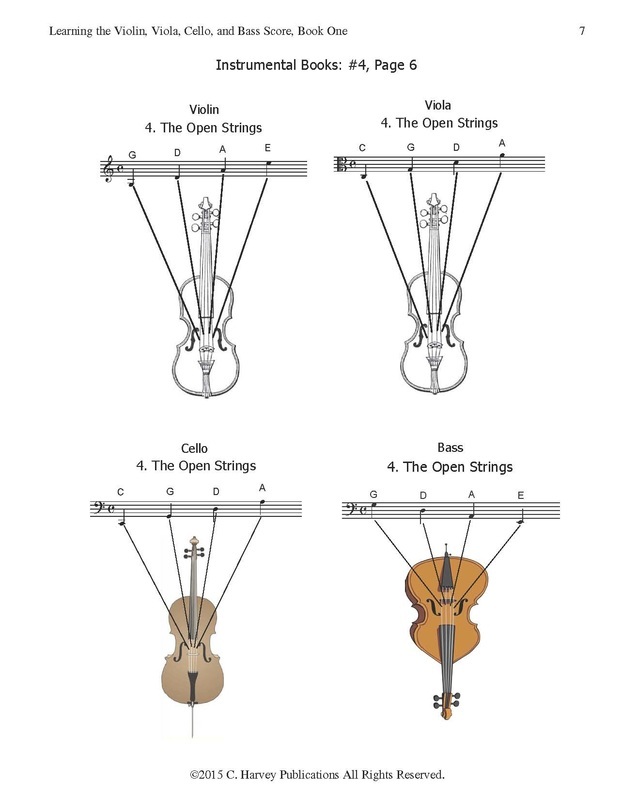 These books can be studied in private lessons, in single-string classes, or in mixed-string classes. 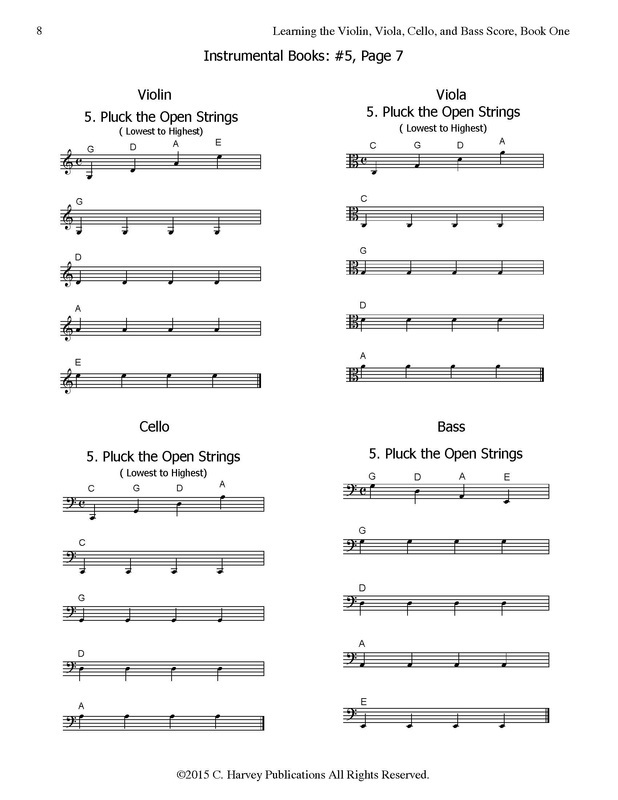 The score contains smaller versions of many of the actual pages in the student books so the teacher can follow along, as well as piano accompaniments for all of the exercises and pieces.